Consumers will complete mobile payment using upgraded facial recognition technologies on China-branded Android phones as early as next month, a number of companies have announced. New tech will improve payment security and offer "beautiful" effects, Oppo said in Beijing. Oppo said on Friday they will join hands with Alibaba to kick off facial recognition authorization on AliPay, which will be available in its latest flagship model Find X, expected to debut next month. 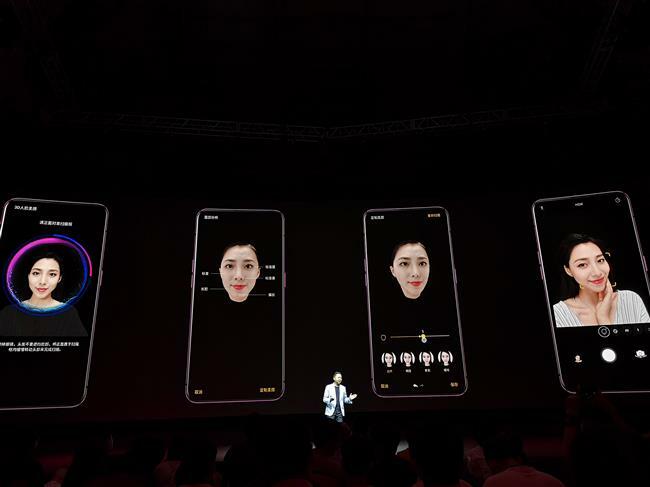 Using a new technology called FaceKey 3D, Oppo offers complete and reliable facial payment services covering hardware, software and functions. It will be the world’s first Android smartphone to support payment through facial recognition, “20 times more secure” than fingerprint methods, Oppo claimed. On Wednesday, Vivo said they will cooperate with Tencent to launch a similar service for the WeChat payment service. AliPay and WeChat pay are the top mobile payment service providers in China. At present only Apple’s iPhone X offers the service to consumers since most Android phones encountered security problems when it comes to facial payments. Now Oppo and Vivo’s new technologies, including pop-up cameras and 3D sensing, have solved these problems, analysts said. Besides payment applications, the 3D sensing technology can also be used in AR or augmented reality, plus gaming and picture optimization for various effects. The Find X model, which features a 6.4-inch bezel-less screen, pop-up camera and super fast charging, is priced from 4,999 yuan (US$769).